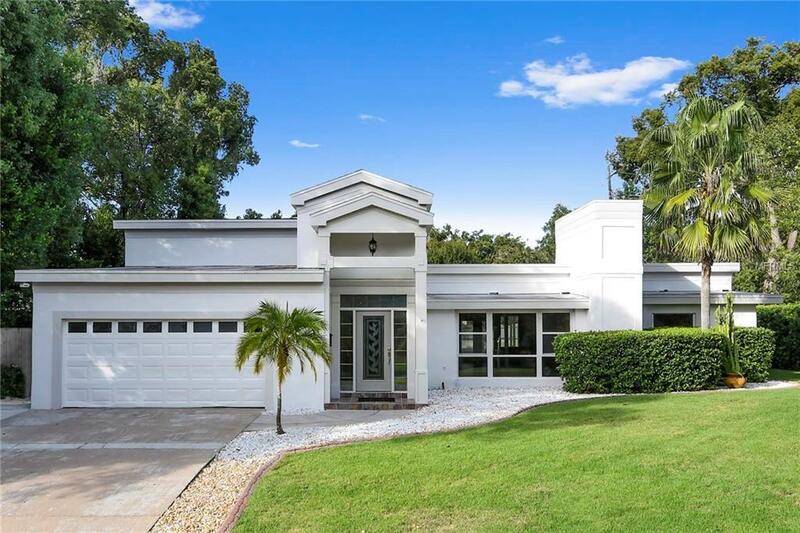 Welcome home to this 3 bedroom, 2 bath home pool home located in Dommerich Estates. With over 2550 sq ft of living space, this home offers a spacious open concept design, perfect for entertaining yet functional enough for every day living. Anchored by a wood-burning fireplace, the expansive living room/family room combo has tile flooring, built-ins and overlooks, through two sets of glass doors, the beautiful pool deck. A fully screened enclosure, coupled with a basketball sport pad, you will enjoy fun in the Florida sun in your own private backyard. The kitchen is fully equipped with stainless steel appliances, beautiful cabinetry and nestled next to the dining area with built-ins and the breakfast nook. The homes massive Master Bedroom Suite is the perfect retreat at the end of the day, featuring a walk in closet, dual sinks, dressing area with vanity and stand alone shower. The home has been freshly painted inside and out. If that isn't enough, you will also enjoy exclusive access to the lake and boat ramp to Lake Minnehaha. Located minutes from the Winter Park shopping district and conveniently located near I-4 this home has it all. Call today for your private showing.